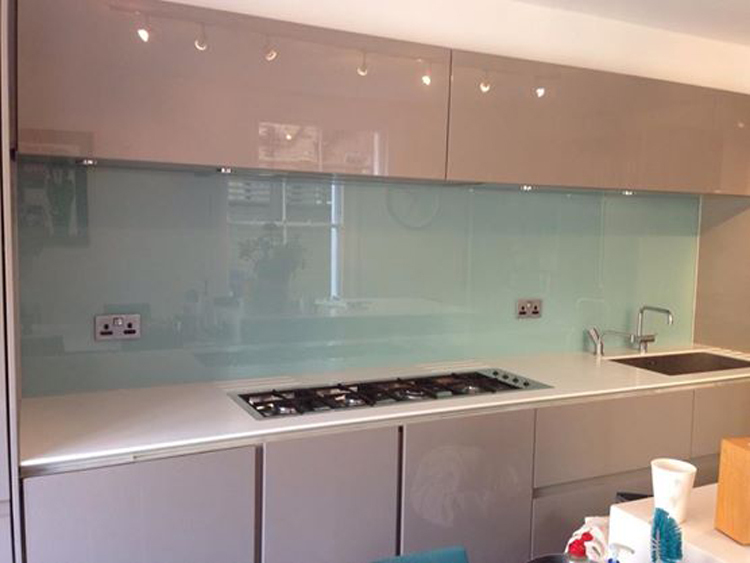 A vital element of any effective and attractive Epsom kitchen is splashbacks. 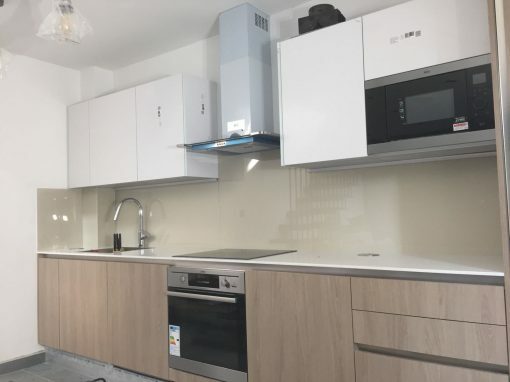 Kitchen splashbacks usually sit behind cookers and work surfaces to help protect your walls and surfaces from damage and stains caused by cooking and preparation work. 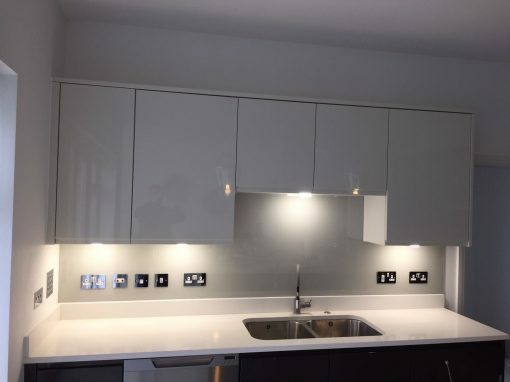 Kitchen splashbacks come in various different materials, each with different benefits, meaning Epsom home owners have a wide choice of options open to them. tiled kitchen splashbacks: tiles have traditionally been used for splashbacks because they’re easy to affix and can be cut to fit around plug sockets or appliances. However, they can be difficult to keep clean. stainless steel kitchen splashbacks: this is ideal for commercial kitchens, or in Epsom homes where you want a more ‘industrial’ feel, and they’re easy to keep clean. However, they can look very stark and lack warmth. 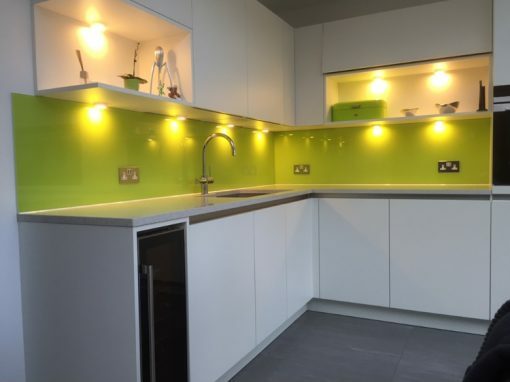 acrylic kitchen splashbacks: these are a budget-friendly option for anyone looking to add some colour to their Epsom kitchen. If your space is straightforward, you can install a pre-cut panel yourself very easily. However, you’re restricted to the colours and patterns chosen by the manufacturer. 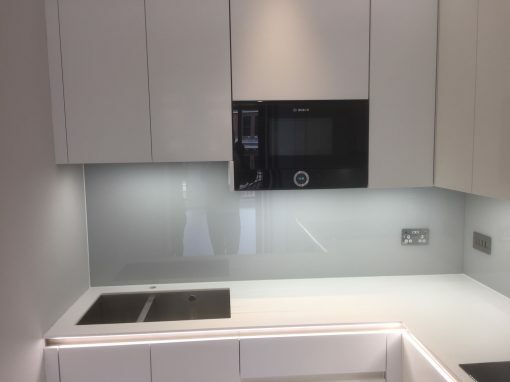 glass kitchen splashbacks: perhaps the most versatile of all the kitchen splashback options, glass can come in any colour you wish and be cut and moulded to suit even the most awkward of spaces. It’s also tough and easy to keep clean.